Injalak Arts Centre, located in the small community of Gunbalanya in West Arnhem Land is a fully-indigenous owned and operated arts centre that plays multiple roles within the community, from generating livelihoods for local people, and enabling Government programs, to being a social hub. 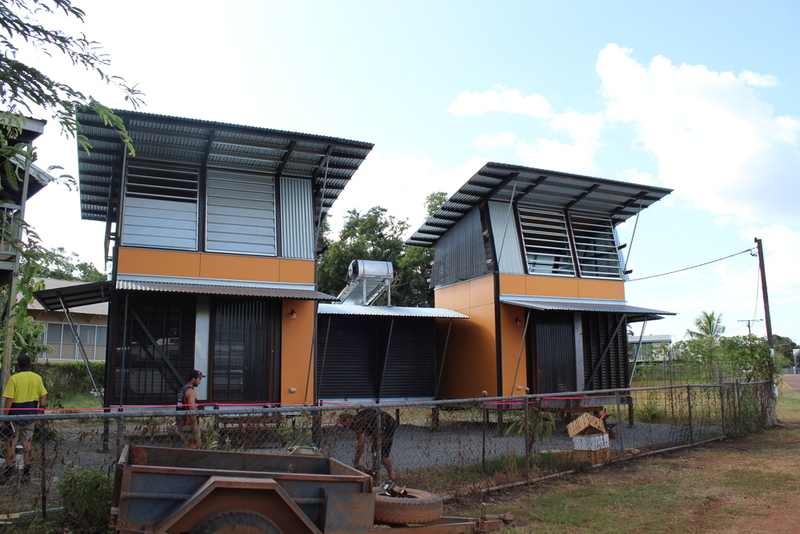 The two accommodation units, dubbed the ‘Love Shacks’, with an adjoining Bathroom, are being constructed with real, robust and bespoke detailing and material, that will be shipped to site as flat packed portables and constructed with help from the local community. Perched up the in the tree tops, the bedrooms open up to the sounds and views of the surrounding wetlands though full height operable walls and shutters. Downstairs open living sits within a perforated screened verandah. Awnings (which shutter down for the Wet) and a tropical garden setting complete demands for shelter, shade and privacy.